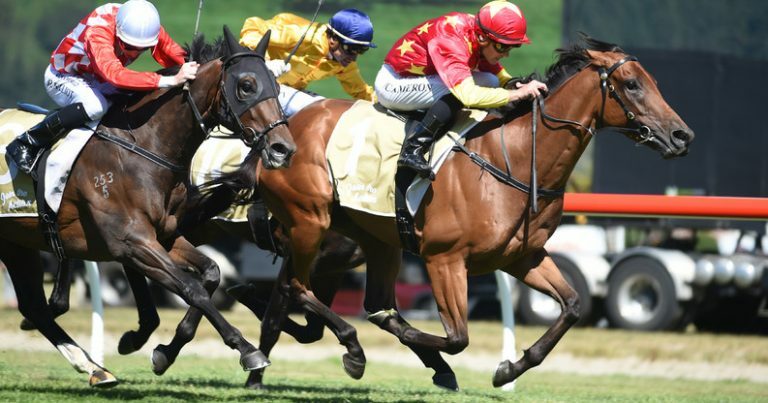 New Zealand-trained three-year-old Madison County was a late scratching from today’s Group 1 $A600,000 Rosehill Guineas in Sydney after being injured whilst being floated from his Warwick Farm base to the Rosehill racecourse. The horse’s co-trainer Murray Baker said the horse rubbed his hip on the side of his partition during the float trip. He was the subject of two veterinary inspections when he arrived on course, the first vet passing him fit but the second ruling that the injury was sufficient to prevent him from racing. “It’s as big as a small plate and they have decided he must be scratched,” a disappointed Baker said. Baker said, providing Madison County recovers, he will more than likely contest the Group 2 $A200,000 Tulloch Stakes (2000m) at Rosehill next Saturday as a lead up to the Group 1 $2million Australian Derby (2400m) at Randwick the following Saturday.